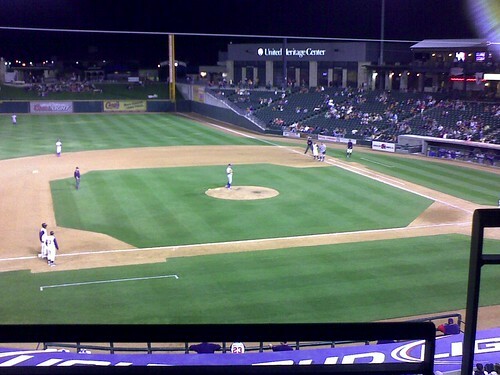 Round Rock Express game on April 16, 2009 against the Omaha Royals. RR won 6-5. This was taken from the Capital Beverage suite with my camera phone.